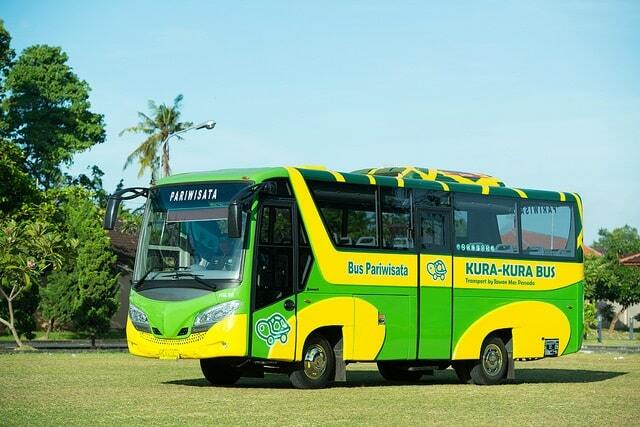 "Perama Bus is the private bus line that serves Bali. Visitors to Bali usually make their first contact with Perama, at the small office located at the bottom of Jl. Legian in Kuta. What Perama offers, is a comfortable bus, that has a fixed timetable and set routes. 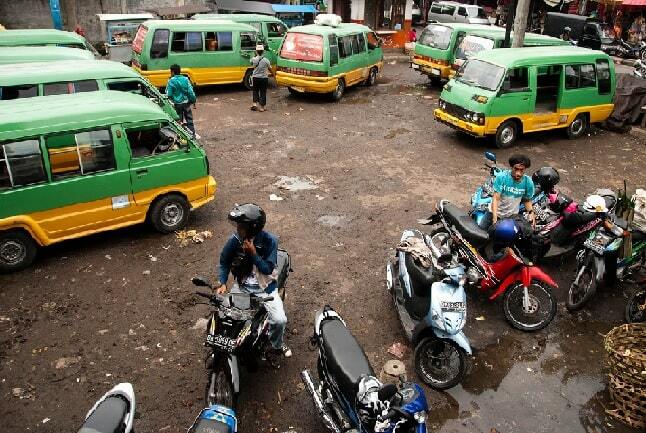 This contrasts with local bemo buses, which have no timetable, no ticketing and a haphazard network of routes, that make getting from Kuta to Lovina a chore." Getting around - on the tiny island of Bali is never a real problem, and there are plenty of modes of transport available to the traveller. 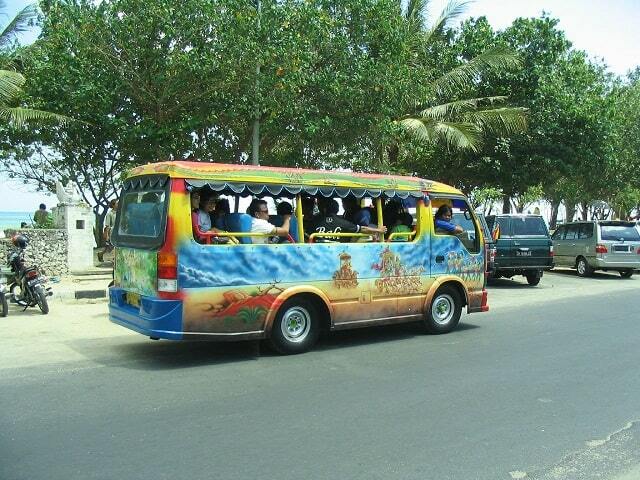 There's a choice between the popular mini-buses or bemos operating on shorter routes, public buses for longer routes and the more expensive but convenient privately-operated tourist shuttle bus services, which run between major tourist destinations and the airport. In addition, many hotels and restaurants offer free pick-up and drop-off services to their clients. Traffic in Bali can be chaotic and there are far fewer rules. On the roads in Bali you�ll be negotiating your way through traffic, avoiding ditches and dodging stray dogs. There are barely any traffic lights and road signals except on the major highways, and these are sometimes turned off late at night. In Bali red signals are there only as a �suggestion� and drivers will often cut in front of you without indicating. Beeping your horn is not considered rude or aggressive, it is simply a way to make sure people know you are there. Bemos, or mini-buses, are the standard form of public transport in Bali, the word bemo comes from the words becak (bicycle rickshaw) and mobil (car). Fares are relatively cheap and most operate on a standard route for a set fare. Most bemos only leave when full and often make unscheduled stops at passengers' requests. There is a danger of foreigners being over-charged on bemos, however, and pickpockets operate on certain routes, particularly between Denpasar and Kuta or Ubud. Every large town has at least one terminal for long-distance buses, called a terminal bus, which is usually also the stop for bemos. Smaller towns have stops for both buses and bemos. Larger mini-buses and full-size buses operate on longer routes, particularly linking Denpasar, Singaraja, Amlapura and Gilimanuk. Buses are faster than bemos as they tend not to make stops along the way, however, there may be long delays waiting for them to fill up at terminals before departing. It is not possible to book tickets in advance except for inter-island routes. (like Bali - Java). Tourist shuttle buses are considerably more expensive than public buses, but are quicker, more comfortable, air-conditioned and in general more convenient than public transport. The largest operator of tourist shuttle buses is Perama, which operates regular, fixed-price buses to and from the airport, as well as all over the island. It has offices in Candidasa, Lovina, Padang Bai, Sanur and Ubud, and is headquartered at Kuta.